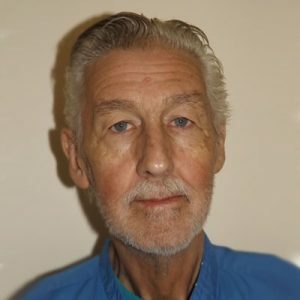 Terry Donald Leboe passed away on February 3, 2019 at the age of 67. He is survived by his loving wife Karen, sons Adam Jeffries and Shane Stringer, stepdaughter Chandra Haire, grandchildren Tristen Bright and Adya Perry and brothers Perry (Helen) Leboe and Roger (Maria) Leboe. He was predeceased by his parents Harold Leboe and Phyllis and Ben Bissett, sister Shirley Bullock and brother Ron Leboe. Terry was born in Prince George, BC on July 30, 1951. He was the fourth child of Harold and Phyllis Leboe who lived in Crescent Spur, BC until Harold’s death. In 1958, the family—a single mom then with 5 children—moved to Kelowna, BC. Terry worked mainly in the paper and saw mill industries in various locations around BC. In 1984, he found his true niche working with children with special needs. He worked 30 years providing care and life enrichment to people of all ages, children to seniors. Terry was a dedicated Christian and lived a life of faith, serving mostly in children’s ministries. Throughout his life, Terry’s love of his family was foremost. His sense of humor was epic even hours before his death. He is loved by many and will be remembered fondly by everyone who knew him. A memorial service will be held on April 6, 2019 at 2:00 pm at Kelowna Christian Center, 905 Badke Rd, Kelowna, BC. The service for LEBOE, Terry is scheduled for Saturday, April 6, 2019 at 2:00 pm. Below you will find the map for the service location and the contact information should you have any questions. .we are so sorry to hear of Terry’s parsing. Our thought and prayers are with you. Roger and family, We are so sorry to hear of Terry’s passing. Out thoughts are with you and your family. On behalf of the staff, and board of directors, of Kelowna Women’s Shelter, please accept our heartfelt condolences on Terry’s death. He was a valued part of the Shelter family, along with Karen, for many years, and we know he will be sorely missed by so many.